April 2018 – Evil Wizard, Esq. Early on in God of War, there is a moment when Kratos’s son, Atreus, is despondent and unresponsive after a brutal battle. “You’re in your head, boy,” remarks Kratos, “Close your heart to it.” Atreus doesn’t respond, and so Kratos gruffly states “Then we return home,” before slyly adding, “A shame…to quit the journey so soon after we began…” Atreus immediately snaps out of his shell shock, exclaiming, “What?! No! I’m fine! See, here…I’m dropping the chain! I’m fine now!” It was a moment that made me, and would make any father or parent, smile. 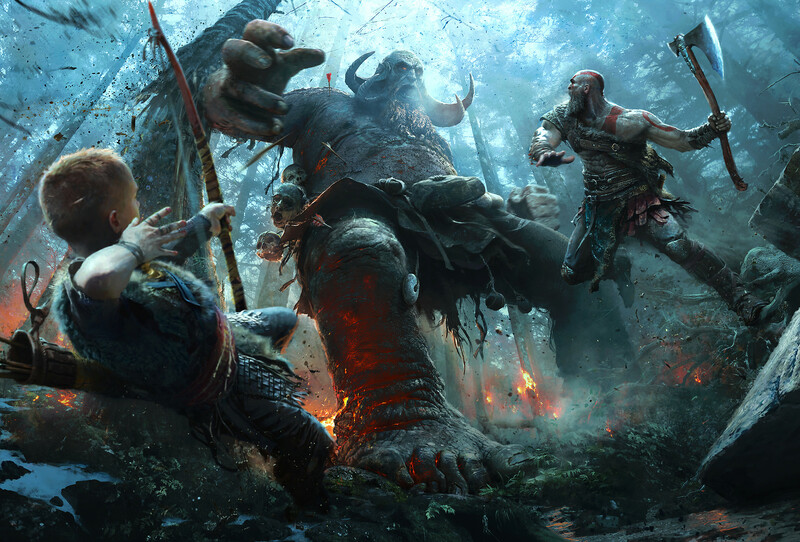 I am still early on in my journey through the Norse lands in God of War, but Sony Santa Monica has already taken a character in Kratos, who was once the poster child for one-note characters – literally just an anthropomorphic personification of rage – and transformed him into one of my favorite nuanced characters, and fathers, in all of fiction. This isn’t an exaggeration. I am a father of two sons myself, and perhaps that is part and parcel of why I find myself relating so, so much to the struggles and the strengths of Kratos in this adventure in these latter days of the demi-god’s life. It isn’t a spoiler to say that Kratos and Atreus are on a journey following the death of Kratos’s wife and Atreus’s mother – that much was made obvious from the prerelease trailers and campaign from Sony. And yet, despite sharing this deeply personal loss, it is obvious in the early hours that Kratos struggles with the emotional bonds of fatherhood. There have been several times where Atreus has appeared in need of comfort, while Kratos reaches an unseen hand toward his back, only to hesitate at the last moment and then drop the hand away. Many have speculated that this is indicative of Kratos’s struggles with “adjusting to fatherhood,” but for me this misses the mark and overlooks a huge chunk of the character’s history. He’s already been a father – and it came to a brutal, tragic end at his own, albeit unwitting, hands. 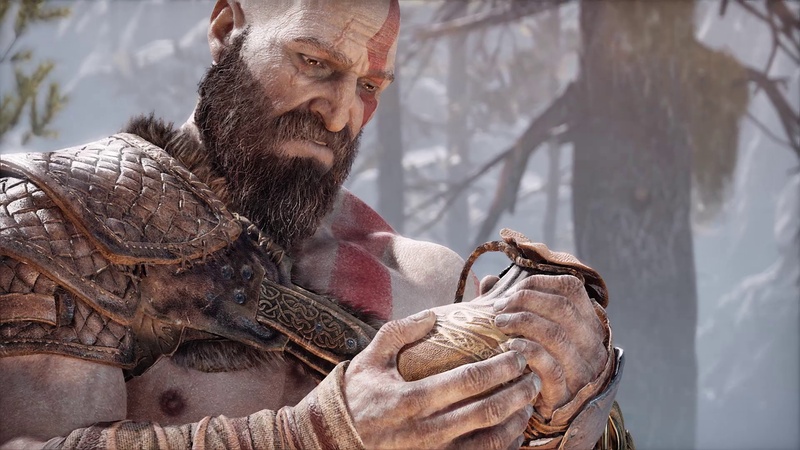 So it isn’t that the bonds and emotions of fatherhood are foreign to Kratos – instead, he is all too familiar with them, and knows the pain of having them ripped away, and thus has been torn between nurturing them with his new family or keeping them at arm’s distance to avoid the risk of repeating his tragic and violent past. While much has been made of how this game represented a “fresh start” and would not necessarily be tied to the prior games, but would still “honor” them, for me personally, the ties to Kratos’s journey through the previous games have been pervasive through the early hours of his new quest. From multiple characters referencing Kratos’s past, to Kratos’s starting equipment referencing that it covers a “dark secret,” to a mysterious illness that Atreus suffered from as a child that Kratos seems to know more about than he is telling…and then there is the growth of Kratos himself. Gone is the blind rage of Kratos rampaging through the Greek pantheon. In its place is an older, wiser man, still capable of tremendous violence when challenged, but more focused on imparting reason and wisdom to his son than in engaging in the slaughter of all who oppose him. 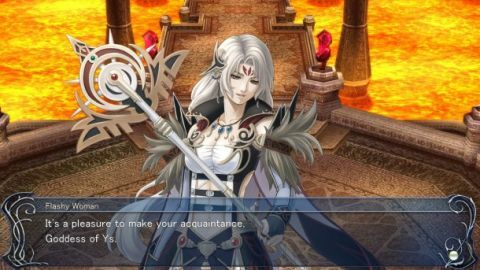 He is a deeper, nuanced character that can be related to much more easily than in past installments in the franchise. 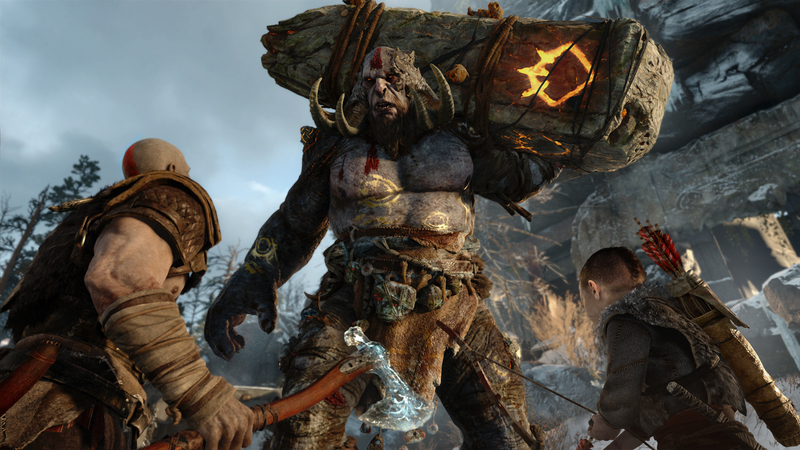 These changes to the God of War formula are immediately apparent in the gameplay itself. Gone are the days of the zoomed out, fixed camera angles – instead we now have a controllable camera that is zoomed in over the shoulder of Kratos, making combat much more visceral, brutal, and tactical. Every encounter, even on normal difficulty, has the potential to end your game if you just mash an attack button and don’t pay attention to your surroundings. Enemies are brutal and intelligent, engaging in flanking tactics, adapting to your battle maneuvers, and attacking in well-balanced packs that require employing varying battle tactics to succeed against. But this isn’t to say that combat is in any way unfair – if you plan well, you’ll succeed. Time your blocks, look for openings, call for Atreus to send in arrow strikes at opportune moments, and unleash hell, and you’ll be rending enemies limb from limb in short order. Boss fights, however, are still tense affairs requiring you to observe and identify patterns and weaknesses. Rushing in without knowing what you’re doing is going to get you quickly killed – and honestly, that feels right in a game set amongst gods and monsters. Humans! How long it has been! Well, more for you than for me – I’m the timeless personification of darkness, so really, a couple of months is a catnap for me. Though I suppose I’ve perhaps somewhat missed imparting my wisdom/seething misanthropy onto you, the select group of mortal meatbags that I don’t abjectly abhor. So…I guess…maybe…it’s nice to see you again. There! I’m not repeating myself! (Editor’s Note: Aww, you missed-) I swear, I will set your entire BLOODLINE on fire if you finish that thought (Editor’s Note: …nothing, nevermind.) Damn skippy. So many things have contributed to my absence – physical, mental, emotional – and I’m sure over time some or all of them will bleed out into my writing, whether in bits or in their entirety. But if I’d had the right words to tell those stories, I’d have been back before now. So then, what finally made me able to pick up my pen – keyboard, whatever – again after being away? Well, that would be, of all things, a Twitter poll from my fellow wizards of the written word over at The Well-Red Mage. By the way – read them, listen to them, support them – they are each and every one an amazing writer and person. I've been curious about this for a while. Now, at first blush the only dilemma I had was that I felt torn between two decades, as the period from the mid-to-late 90s through the early-to-mid 00s was what I considered my perfect answer. But then I saw a tweet in response that really got my inner-philosophical-gamer juices working. And then another to further get me thinking. Don't get me wrong, I love the games from my childhood, but I'm a firm believer that we've reached a golden age in video games. The level of variety and polish, the sheer amount of really amazing stories being told, make me lean toward the 2010s. Ohohoho, now we had a full-blown bout of navel-gazing going on inside my head, minions! What was my Well-Red (and Read) friend actually asking – for an objective “best” era of gaming, or a subjective “favorite” era of gaming? 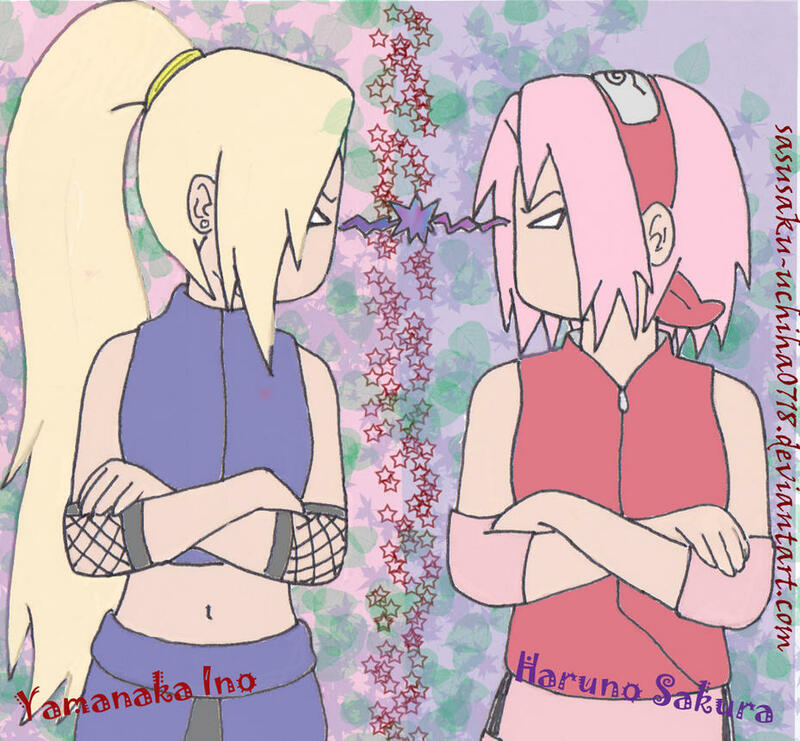 What was the distinction between them? IS there a distinction between them – and even if such a distinction were to theoretically exist, can we ever truly grasp it, as we are inherently colored by our own perceptions of our own individual realities and experiences? The first issue that occurs to me is that while I truly respect the opinions and thoughts of all the individuals involved in that particular Twitter discussion (Editor’s Note: This is no small thing for him to admit – he works daily around judges and magistrates that he considers barely worthy of continued intake of oxygen, let alone actual respect), I believe that the concept of an “objective best” is impossible. The term “best” is inherently and inescapably subjective – it is brewed from all manner of differing criteria depending upon the evaluator, steeped in one’s own personal preferences and pet peeves, and filtered through the time, place, manner, and setting in which we each experienced things for the first time. There are times when, under certain circumstances, we may attach a more objective modifier to “best” – such as associating “fastest” with “best” when discussing race cars – but even then, it presupposes this connection between the objective term (“fastest”) and the subjective “best.” As soon as someone decides that perhaps handling is a more important consideration than raw speed, suddenly the illusion of an objective “best” race car is shattered. Also, steering. Steering is important. But “favorite” isn’t just a subjective concept – it is inherently, indelibly personal. It isn’t so much a debate or attempt to convince others as to the correctness of your point of view as to simply express your own opinion. You “favorite” can of course change – but the reasons will always be internal, personal – singular to you, not the product of debate and analysis by a wider audience. My “favorite” Final Fantasy is Final Fantasy Tactics. The Shameful Narcissist’s “favorite” is Final Fantasy VII. LightningEllen’s “favorite” is Final Fantasy XIII. The three of us can debate endlessly over which of the three – or perhaps even another – is the “best” Final Fantasy. But there is no debate over our “favorite” – because it is just that…ours. I suppose this little tirade is in part a response to another point made by my feathered-hat-wearing compatriot. When reviewers say "it just doesn't work". This statement, made far too often in gaming journalism, is part of the conflation between “favorite” and “best.” I in no way am suggesting that reviews cannot be subject to the personal interpretations of the reviewer – that’s impossible. Any critique, no matter how much the reviewer strives for objectivity, is going to be influenced to some degree by their subjective views. 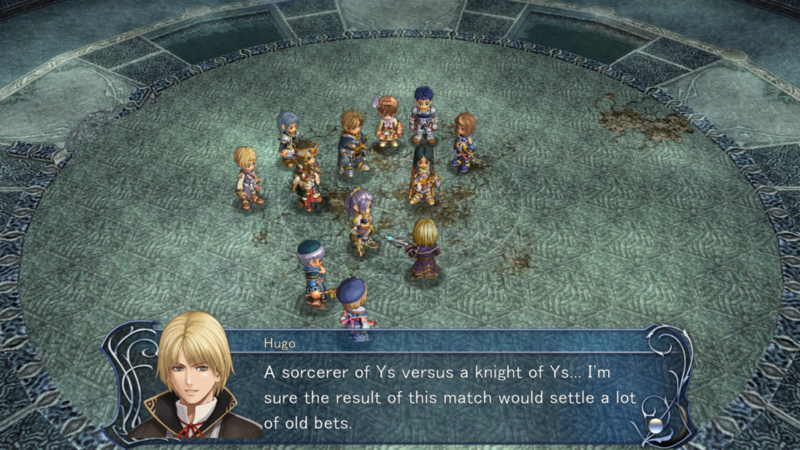 But an analysis that is supported by sound reasoning (“the ATB battle system is the best RPG battle system because it balances the tension of quick thinking and decision making with the strategy and planning of traditional turn-based systems”) is completely different from a blanket qualitative statement based upon nothing but a vague, unspecified dislike (“the combat in this game just doesn’t work”). The only time the phrase “just doesn’t work” should be used is when the aspect of the game to which it refers LITERALLY DOES NOT FUNCTION. As in, every time a battle is triggered and the combat engine tries to load, the entire game crashes. Otherwise, it is just a lazy cop-out to substitute “I just don’t like this” for a critical analysis of a game’s virtues and vices. Does this mean a reviewer can’t simply express dislike? Not at all – but they need to add two very crucial words: “This just doesn’t work FOR ME.” Suddenly, as in the difference between “best” and “favorite,” the expression is clearly personal – not right or wrong, just a statement of opinion individual to the reviewer. It isn’t an argument for or against the overall merits or flaws of the game – those can be made but must be supported with reasoning.